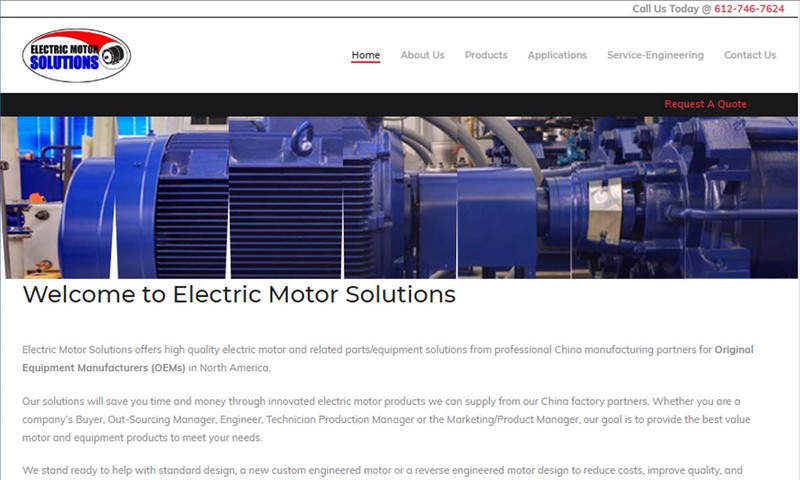 A reliable source for Electric Motors information and a resource for accessing leading Electric Motors and suppliers. Electric motors are devices that turn electrical energy into usable mechanical energy. They achieve this by harnessing the mechanical force, or energy, produced during the interaction of an electrical current and a magnetic field. This electrical energy comes from alternating current (AC) or direct current (AC) charges from a power grid or battery. Both AC and DC electric motors have one general application–powering machinery. In this context, machinery can be anything from a semi-truck to an electric toothbrush. Electric Motors Electric motors are devices that turn electrical energy into usable mechanical energy. They achieve this by harnessing the mechanical force, or energy, produced during the interaction of an electrical current and a magnetic field. This electrical energy comes from alternating current (AC) or direct current (AC) charges from a power grid or battery. 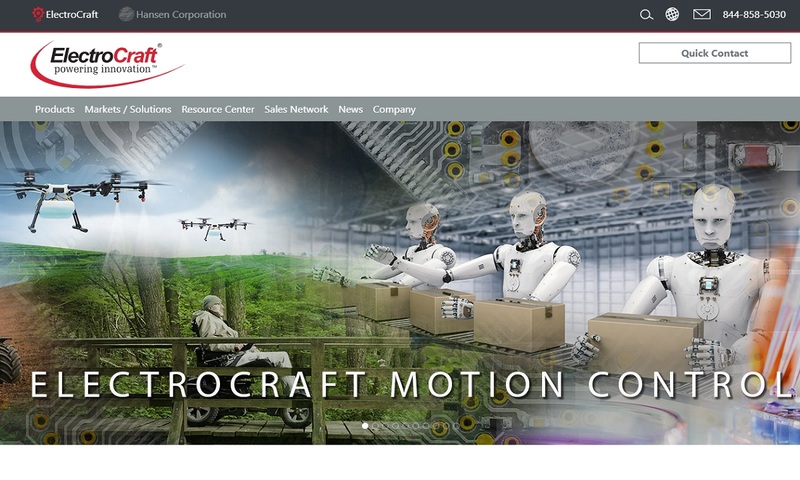 We manufacture motors, motion control and rotating products for OEMs. The electric motors obtainable through us include AC motors, AC/DC motors, brushless DC motors, stepper motors. 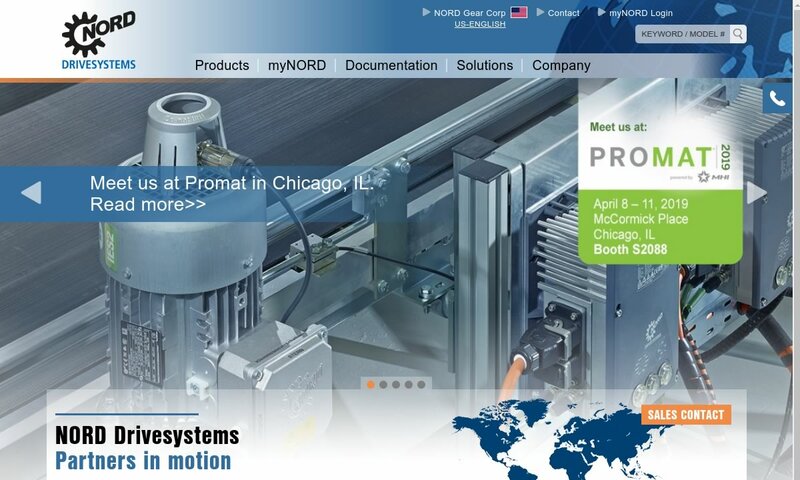 At NORD Gear, we pride ourselves on the reliability and ease of operation of our products. As the creator of UNICASE housing, we specialize in gear motors, gear reducers, gear boxes, speed reducers and variable speed drives. Since 1965, NORD Gear has served numerous industries and markets. Hankscraft OEM is recognized as a Six Sigma Black Belt-certified, low risk manufacturer. 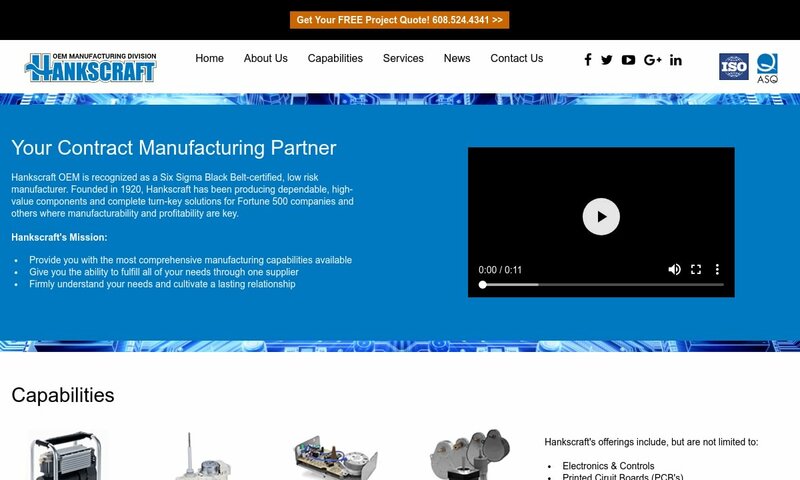 Founded in 1920, Hankscraft has been producing dependable, high-value components and complete turn-key solutions for Fortune 500 companies and others where manufacturability and profitability are key. Electric motors got their start in the 1740s, when a Scottish monk named Andrew Gordon created the first electrostatic device. Around 60 years later, in 1820, French physicist André-Marie Ampère discovered how one can produce a mechanical force by facilitating interactions between two current-carrying wires. He wrote down this principle, and it later became known as Ampère’s Force Law. From his name we also gained the SI base unit of electric current measurement, the ampere or amp. The year after Ampère discovered Ampère’s Force Law, British scientist Michael Faraday successfully conducted experiments demonstrating this principle. First, he dipped a wire in mercury and attached a permanent magnet to it. Then, he passed a current through the wire. When the current moved through the wire, the wire rotated around the magnet. What this proved was that the current created a circular magnetic field around the wire. In 1822, a man named Peter Barlow conducted a similar, but updated, experiment. During his experiment, he dipped the tips of a star shaped wheel (the Barlow wheel) in mercury as it rotated. His results of his experiment echoed Faraday’s. Experiments like these established certain principles, like electromagnetic induction, that later scientists and engineers could use as a jumping off point. For example, in 1827, Hungarian priest and scientist Ányos Jedlik built the first recognizable electric motor–it contained a rotor, stator, and commutator. Several years later, he built a model vehicle that ran using an electric motor. In 1832, British scientist William Sturgeon built the first DC electric motor. In 1834, American blacksmith Thomas Davenport invented a battery-powered electric motor with which he powered small model cars on tracks. Three years after that, Davenport and his wife Emily patented the design for the first electric motor that could be used commercially. In 1840, he used his electric motor to power machine tools and a printing press in order to print his own newspaper on mechanics. This was the first ever newspaper to be printed using electric power. Davenport’s inventions were ingenious, but because batteries were not yet economically viable, he ended up going bankrupt. Around this same time, German physicist and engineer Moritz von Jacobi created a rotating electric motor with which he could power a small electric boat across a river. In 1871, a Belgian electrical engineer named Zénobe Gramme built the first DC motor that made any money. In 1887, Nikola Tesla invented the AC motor, a product that uses alternating current and does not require a commutator. Around this same time, in 1886, American Frank J. Sprague invented the first non-sparking DC-motor that could keep moving at the same speed, regardless of load. Between 1887 and 1888, Sprague invented electric trolleys, which engineers put into use first in Richmond, Virginia. In 1892, he invented both the electric elevator and designed Chicago’s L system, known more formally as the South Side Elevated Railroad. During the 20th century, electric motors changed the world. They reduced labor everywhere, from the factory floor to the home, they made machines more efficient, they increased standards of living, they allowed for the production of better products, and they expanded the possibilities of travel. Today, electric motors are an integral part of our lives. When selecting or designing custom motor products for you, electric motor manufacturers will consider different aspects of your application, including how fast you want your engine to go, how often you will use it, the environment in which you will use it, and load details (weight, location, etc.). Based on those factors, they will decide on AC power vs. DC power, horsepower/watts (power output), RPM (rotations per minute), speed variability vs. fixed rotation speed, and current ratings. Manufacturers can also vary your electric motor products by the number of rotors and stator magnetic poles and sizes. Find out more by going over your application with potential suppliers. Generally speaking, electric motors consist of a rotor, a stator, windings, an air gap, and a commutator. In this context, the rotor is a moving part that delivers mechanical power when it moves the shaft. To achieve this turning motion, the rotor is usually designed with built-in current-carrying conductors that interact with the magnetic field generated by the stator. However, in some cases, the rotor carries the magnets while the stator holds the conductors. Unlike the rotor, the stator does not move. Rather, it is the fixed component of the motor’s electromagnetic circuit. Generally, it consists of a core and either permanent magnets or windings. This core is made up of several thin metal sheets, called laminations, which are used to reduce energy losses. Windings are coiled wires. When they are wrapped around the core, and after they are energized with current, the purpose of these coils is to form magnetic poles. Next, the air gap is the distance between the rotor and the stator. The air gap provides most of the low power factor at which motors operate, by increasing and decreasing the magnetizing current as needed. So, because a large air gap has a strong negative effect on a motor’s performance and may present mechanical problems, losses, and noise, the air gap should be as small as possible. Finally, the commutator is a part used to periodically switch current direction between the external circuit and the rotor. 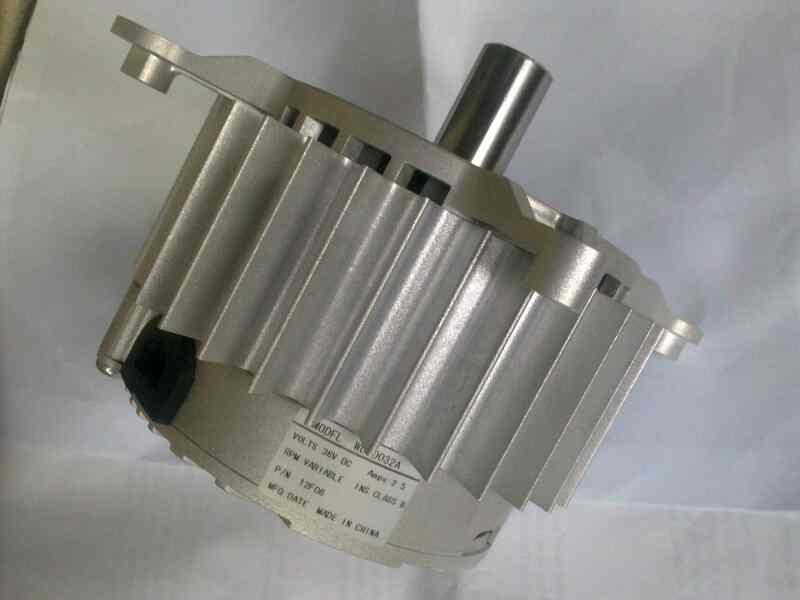 It is used with most DC motors and with universal motors. The commutator is composed of a cylinder made up of several metal contacts, or slip rings, segments, and an armature upon which the segments rotate. Two or more electrical contacts, called brushes, make sliding contact with the segments by pressing up against them as they turn, allowing the current to flow through them and reach the rotor. All electric motors have two basic magnetic field pole configurations from which to choose: salient pole and non-salient pole. The magnetic field of a salient-pole machine is generated by a winding wound below the pole face. In the case of the non-salient pole machine, also known as a round-rotor machine or a distributed field machine, windings produce a magnetic field while wrapped around pole face slots. A third pole configuration, shaded-pole, delays the pole’s magnetic field phase. To do so, it requires a winding made up of a copper bar or ring, called a shading coil, that goes around a certain part of that pole. AC motors are powered by applied alternating currents. The alternating currents, which moves through coils, creates a rotating magnetic field, which in turn provides torque to an output shaft. They do not require a commutator. Common AC power sources include inverters, generators, and power grids. DC motors get their power from direct currents. The voltage generated by the currents causes an armature winding to rotate, while a non-rotating armature field frame winding acts as a permanent magnet. 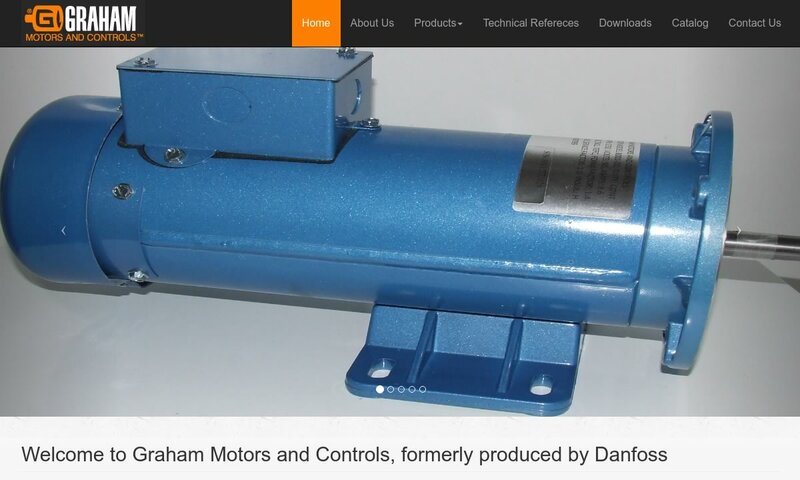 Users of DC motors can manipulate their speed by adjusting the field frame current or changing the applied voltage. DC currents are often provided by rectifiers, electric motor vehicles, and batteries. Universal motors can operate using both alternating and direct currents. Brushed motors, sometimes called commutated electric motors, are one of two major types of electric motors, as categorized by internal construction. Brushed motors, which almost always use a direct current, get their name from the commutator, which comes with several brushes. These brushes are always made of a soft conductive material; almost exclusively, manufacturers use carbon, sometimes with copper powder mixed in for improved conductivity. The five main styles of brushed motors are separately-excited motors, DC series wound motors, permanent magnet DC motors, DC compound motors, and DC shunt wound motors. Brushless motors are more much more efficient than brushed motors, and they are rapidly replacing them. These motors, instead of using brushes, use sensors known as Hall effect sensors, to transfer current. They are made up of a 3-phase coil, a permanent magnet external rotor, drive electronics, and the sensor. A 3-phase coil is a motor element that references another type of motor classification, based on the motor’s means of motion. Gear motors use gear heads to vary speed. Electric hub motors are motors built into the hub of a wheel. They directly drive the wheel. The most common motor motion classifications include 3-phase motors, single phase motors, linear motors, stepper motors, and 12V motors. Three-phase electric motors boast both a fairly simple design and high efficiency. Usually a type of induction motor, 3 phase motors function using three alternating currents, which distribute converted mechanical energy. Single phase motors are another example of induction motor. This time, they use a single, or single phase, motor power source, which is generally an alternating current. Linear motors provide mechanical energy in a straight, or linear, line. In other words, linear motors provide motion over a single plane. Stepper motors are a lot like 3-phase synchronous motors. The main distinction between the two is simply that, while 3-phase synchronous motors rotate continuously, stepper motors must continuously start and stop. Stepper motors are common in 3D printers and robots. 12V motors generate motion using twelve volts of electric power, which is standard. Lastly, electric motors convert energy differently. Motors are divided thus into synchronous motors, induction motors, electrostatic motors, and servo motors. Synchronous motors are a type of AC motor. They convert voltage into energy using a passing current and a rotor that move at the same rate. Together, these elements create a rotating magnetic field. Synchronous motors offer their ability to maintain constant speeds while changing torque. Induction motors, sometimes called asynchronous motors, function using the principle of electromagnetic induction. Basically, they work when an electrical conductor moves through a magnetic field and subsequently produces voltage. Induction motors are less expensive than synchronous motors. Electrostatic motors work by harnessing the attraction and repulsion of an electric charge. They usually use a lot of power, but they are available as smaller models that use lower voltages. For example, small electrostatic motors are common components of micro-mechanical systems (MEMS). Servo motors work using servomechanisms (servos) that sense errors and correct them automatically. They also have built-in microcontrollers that allow users to prompt them to move exact numbers of degrees whenever they want. Servo motors are exceptionally small. They are common in robotic actuators, remote-control cars, and hobby aircrafts. Electric motor products have countless accessories. Examples of common electric motor accessories include phase converters (used to convert AC power into DC power, and vice versa), bearings, fan covers, motor kits, mounting kits, rain shields, brake kits, remote controls, speed/voltage controllers, and conduit boxes. In the United States, one of the most important set of standards associated with electric motors are those put out by NEMA, or the National Electrical Manufacturers Association. NEMA assigns standardized sizes to different motors, which you can view on the charts they send to manufacturers. Other standard requirements are related to your industry, application, and location. Learn the standards to which your electric motors must adhere by talking to your industry leaders. If you’re looking for an electric motor, the first thing you need to do is make sure you know your specifications.  We recommend, before calling any manufacturers, that you list everything you’re looking for (or not looking for), including your application details, your budget, your delivery deadline, your post-delivery service preferences (installation assistance, tech support, etc. ), and your standard requirements. Discussing these points at length with an electric motor company will help you know if you are the right fit for one another. To find said “right fit,” check out the high-quality manufacturers we have listed on this page. Look over their profiles and webpages to see if they might work for you. Pick out three or four top contenders, then give them each a call to talk about your application. Once you’ve spoken with each of them, compare and contrast your conversations, and pick the one you believe will offer you the best service within your budget and timeframe. Good luck!